Construction is moving along at the Fincantieri yard in Monfalcone (Italy) on Royal Princess. This photo, taken last week, shows additional blocks in place, and the yard is working toward delivery a little more than a year from now in the late spring of 2013. Silversea's Silver Shadow was involved in what the line terms a "minor" collision with a cargo vessel last Friday (March 16, 2012) off Ha Long Bay in Vietnam. The incident occurred during heavy fog and caused only minor damage to the cruise ship (as seen in the video below, shot by a passenger), but reports say that damage to the cargo vessel was more substantial. 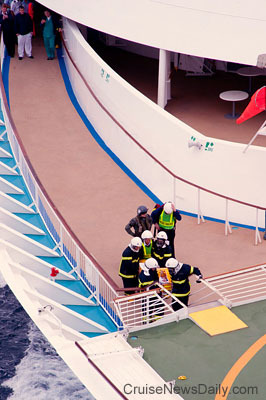 There were no injuries aboard Silver Shadow, and its seaworthiness was not compromised. Reports from passengers say Silver Shadow's bow struck the cargo vessel broadside. Silver Shadow continued to port, and has since continued its cruise. It embarked on its next cruise today (March 19, 2012). This video, shot by a passenger, shows the damage to Silver Shadow. 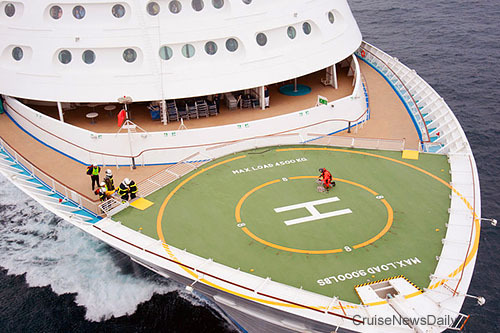 In the audio, the passenger's assessment of the damage seems to be that it is much more serious than Silversea's assessment does. Sources in Europe are reporting that Monarch of the Seas will leave the Royal Caribbean International fleet at the end of the year. The twenty-one-year-old ship will reportedly be transferred to RCCL's Pullmantur brand in Spain. The ship will reportedly receive an extensive refurbishment and begin sailing under its new livery in April 2013. It will most likely be renamed MS Monarch. Monarch of the Seas is currently sailing 3- and 4-day cruises from Port Canaveral. There is no word if RCI will replace the ship in that trade. We are awaiting confirmation from Royal Caribbean, but it any action concerning Pullmantur would not likely be announced today (Monday) as it is a bank holiday in Spain. 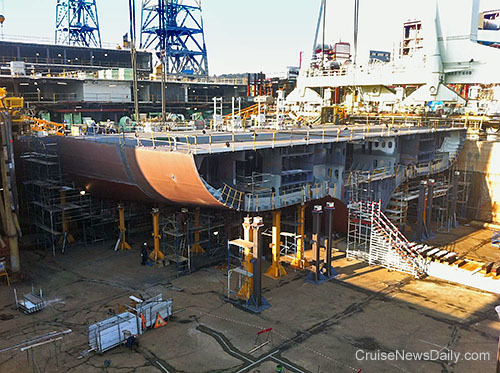 Royal Caribbean confirms that Monarch of the Seas will leave the RCI fleet, but a bit later. It's last cruise for the Royal Caribbean International brand will be on March 29, 2013, and it will become part of the Pullmantur brand then on April 1, 2013. Royal Caribbean told CND it will be several months before they announce if they will remain in the short cruise market from Port Canaveral. 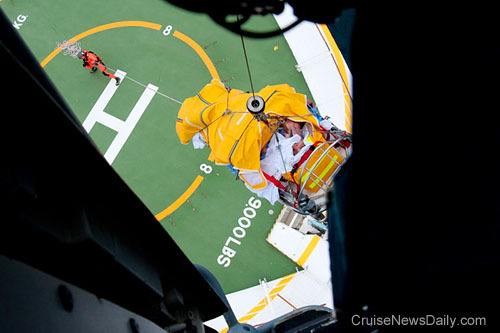 A French Navy helicopter airlifted a 60-year-old passenger from Royal Caribbean's Independence of the Seas, on Friday afternoon (March 16, 2012). The man was hoisted off the ship's bow about 2:00pm when it was about 70 miles off the coast of Brest, France, as shown in the video below. Video and photos courtesy of Navy of France.